Dr. Cookson is an EMDRIA Certified EMDR practitioner and Approved Consultant. 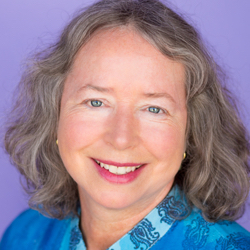 She has a private practice that focuses on integrative relational therapy and relies on EMDR and working somatically to increase resilience and resolve present and past trauma. She is a facilitator for the Parnell Institute.Kim is the Trauma Training Director at the Southern California Counseling Center (SCCC). SCCC, a sliding-scale community counseling center, now offers EMDR training to its interns and supervisors and provides EMDR treatment to a highly diverse and economically challenged community.Trained in EMDR in 2006, Kim Cookson found her way to Dr. Parnell’s refresher course in 2008, and deeply resonated with the attachment focus and the client-centered, collaborative approach. Laurel Parnell’s Modified Protocol and Resource Teams provide an effective structure for deep processing and attachment repair in both private practice and community counseling settings, where the majority of clients present with complex trauma.Kim Cookson is also a facilitator and trainer for the Trauma Resource Institute (TRI). Bringing TRI’s Community Resilience Model to the Philippines and Trinidad were transformational experiences for her. They inspired her with a glimpse into the amazing power of resilience.